Maya Fletcher, Zack Huck, Daniel Muir, Cameron Albee and Kyle Schroer are all members of the island’s first LEGO Robotics Club. Their team, called “Mission Implausible,” is one of many clubs around the country that teach middle-school students about engineering through LEGO-based robots of their own design. As part of their work, each team is required to do a community project. 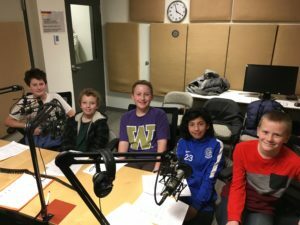 Our group of 6th graders decided to do this podcast on how to access water during an emergency. Listen here to learn about their talks with city officials, what they’ve discovered about what happens to our local water supply when the power goes out, and how to make your own home-grown water filter. And, as an extra bonus, stay tuned at the end of the podcast to hear Daniel Muir’s interview with Scott James, author of Prepared Neighborhoods. All very helpful information indeed! We want to thank our youth for doing their part to strengthen our community. 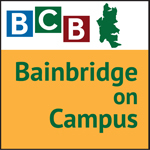 For more information on emergency preparedness, please visit: www.bainbridgeprepares.org.